Continuing with the them at Frilly and Funkie “How Can You Resist”. 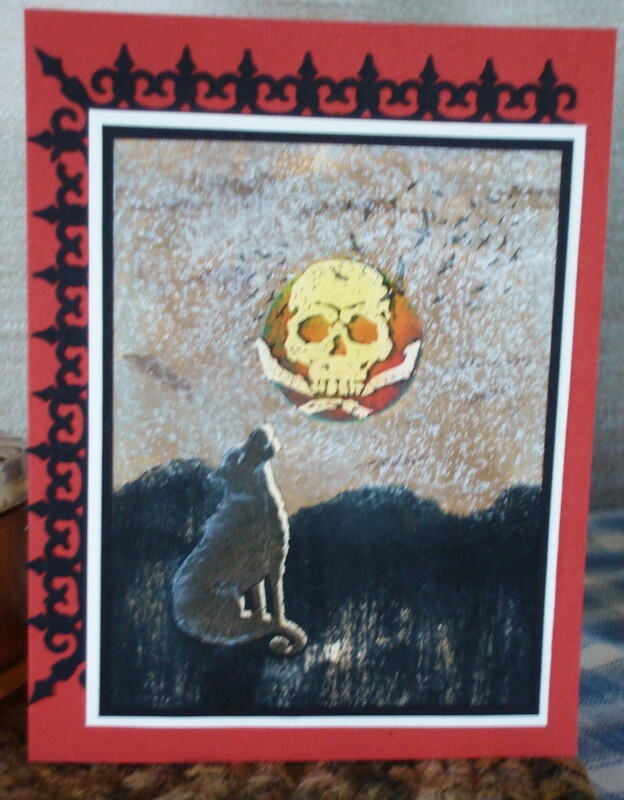 This is a double resist card, done with clear embossing powder. 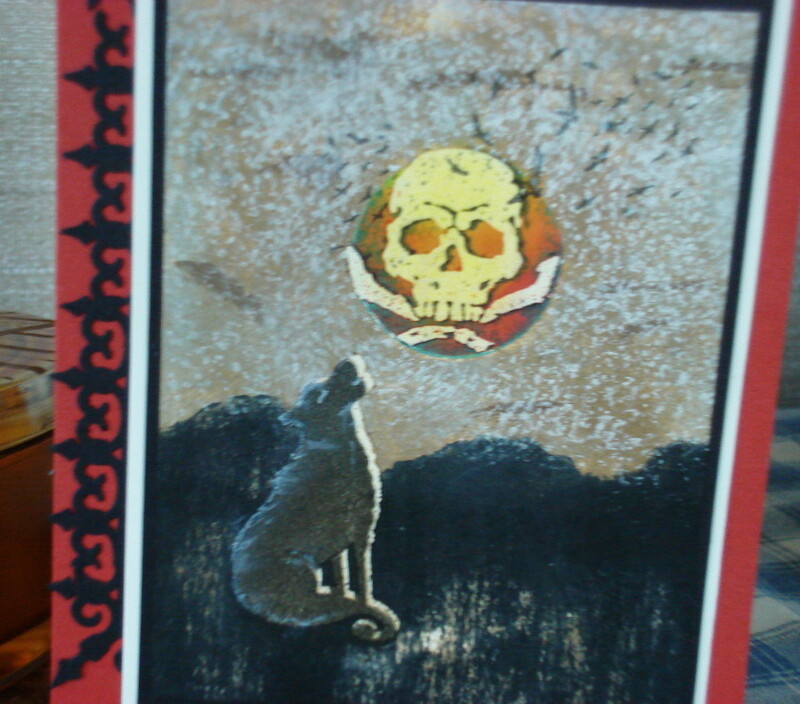 First the Moon was stamped and embossed, then the wolf was added and embossed. The moon was masked and sponged with distress inks. Then I removed the mask and covered the moon and filled in the sky. Filled in the hills, removed the ink from the wolf and removed the embossing powder. 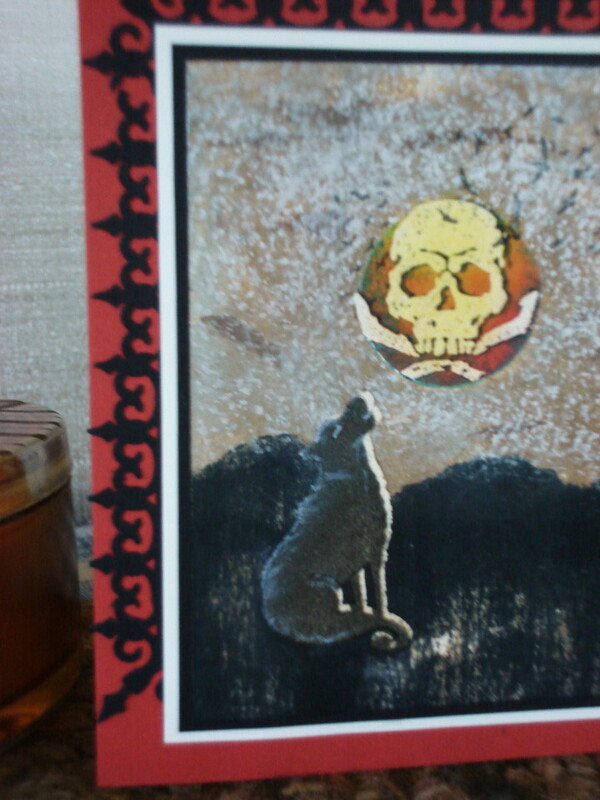 And over stamped the two images, (wolf and moon). Beautifully done- love the resist and your border. Miss seeing you on the TJ list! Wonderful double-resist, Vada! Love the composition. Thanks for joining us at Frilly and Funkie! So glad to see your getting into the Halloween spirit Vada! Very cool and spooky resist! Now I love that wolf, but that Moon is over the top fabulous! I really had such a great time meeting you and the boys and can't wait for the next time - with more time! Have a great weekend and thanks so much for playing along with us at Frilly and Funkie! Hugs! 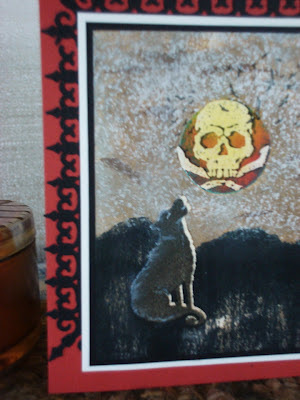 Great card and great resist technique.